You are here: Home » Antioxidant Filters » Where Did All The Blueberries Go? What’s so great about blueberries? They are filled with antioxidants of course! You must have heard of antioxidants…they are….something that makes you healthy….right???? So that means….antioxidants are good because they fight free radicals which are bad….right???? OK! Let’s assume the scientists are right and the marketing people are not just making all this antioxidant stuff up. So, oxygen, which seems like a good thing for a human can be bad when it becomes a “free radical”…..hmmm. This is getting complicated. The marketing people come to the rescue! Antioxidants are GOOD…we get that. So, how do we get those wonderful antioxidants? Fortunately, we have the marketing people to tell us. Eat blueberries….and pomegranates if you must. The video is worth watching, but if you don’t want to spend 7 minutes viewing the video, I will save you the time. 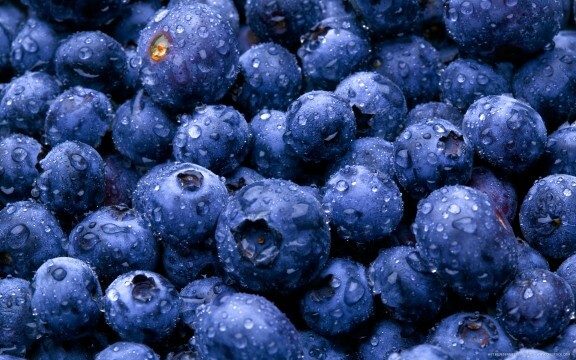 What you will find is a lot of packaging of common food products that show pictures and words that make you think you are eating blueberries, when in fact there are no blueberries to be found. What you are really eating is sugar and food coloring that looks and tastes like blueberries. I couldn’t help but think of the Matrix movies when I was watching the video. What are these dangerous “Free Radicals”? Your body uses oxygen to help with the chemical reactions that produce energy in your cells. Unfortunately, about 2% of oxygen goes unused and can become harmful to your body. You have heard of these harmful unused oxygen atoms because somebody came up with the cool term “free radicals”. Free radicals are actually electron hungry single oxygen atoms that attach to other molecules in order to become stable. The molecules that the oxygen (free radicals) attach to become degraded in the process known as oxidation. If you are having difficulty visualizing this, think of the rusting process you see on cars or steel bridges…same thing. What’s the best way to consume antioxidants? Let’s go back to the Wikipedia description of an antioxidant: “Oxidation is a chemical reaction that transfers electrons or hydrogen from a substance to an oxidizing agent”. The definition specifically mentions hydrogen because hydrogen is the universal donator of electrons. Foods such as blueberries and pomegranates are said to be excellent antioxidants. ORAC (oxygen radical absorbance capacity) is a term of measurement that describes the ability of a food to act as an antioxidant. The word must have been created by marketing people because scientists would not likely use those words. In fact, the terminology is fancy but virtually meaningless to the general public. I don’t know how the process of creating antioxidants from foods works because I have never found an explanation. It’s amusing how we the public just accept these “facts” without ever receiving an explanation of how and why. Ionized water provides an alternative source of free hydrogen. The terminology for measurement of the antioxidant properties of a liquid is ORP (oxidation reduction potential). ORP as a word appears to be a bit more scientific than ORAC and it is simple to measure. Unfortunately the ORP measurement is virtually meaningless as it only tells us what degree of positive or negative charge is in the water at a given moment in time and doesn’t take into account the stability of the charge. This topic deserves an article of its own. Why not just find the best and most cost effective way to generate hydrogen? Free hydrogen is the ultimate antioxidant because it reacts with free oxygen to form harmless water molecules. According to Dr. Hayashi, the world’s leading reasearcher in the area of ionization of water, free hydrogen can be created by the ionization process. Dr. Hayashi has created a device that he has demonstrated can measure the presence of free hydrogen in ionized water. Too bad nobody else has access to the device. Unfortunately, the water ionizer industry has been run by individuals who have never bothered to attempt to understand how or why their products are so important to our health. The electric water ionizer companies have ruined their industry by bashing each other in an attempt to win over the 0.1% of the population that knows about the machines, instead of educating the public. The public will benefit from the introduction of he new antioxidant filter technology. The new filters sell for a fraction of the price charged by the electric water ionizers companies and they produce the same health benefits by means of creating free hydrogen.